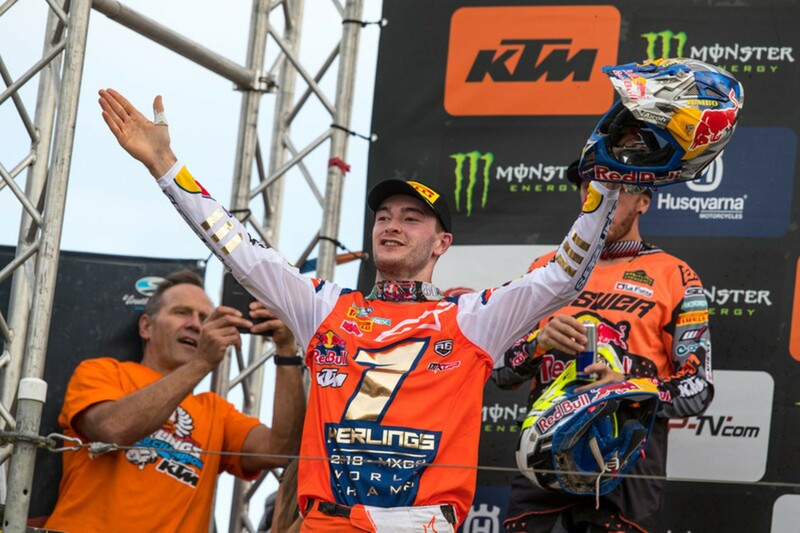 Over the weekend, KTM's official factory racing social media account revealed that defending MXGP World Champion Jeffrey Herlings incurred a foot injury while training in Spain, and has had to undergo surgery. The team says it will update Herlings' condition, including his recovery timetable, early this week. Stay tuned here for more news as this story develops. Adam Cianciarulo carried the ProX colors to the top step of the podium on Saturday night when the rider picked up his second win of the season.